← “Happy looks good on you” …. what can we “wear” …. what matters most? 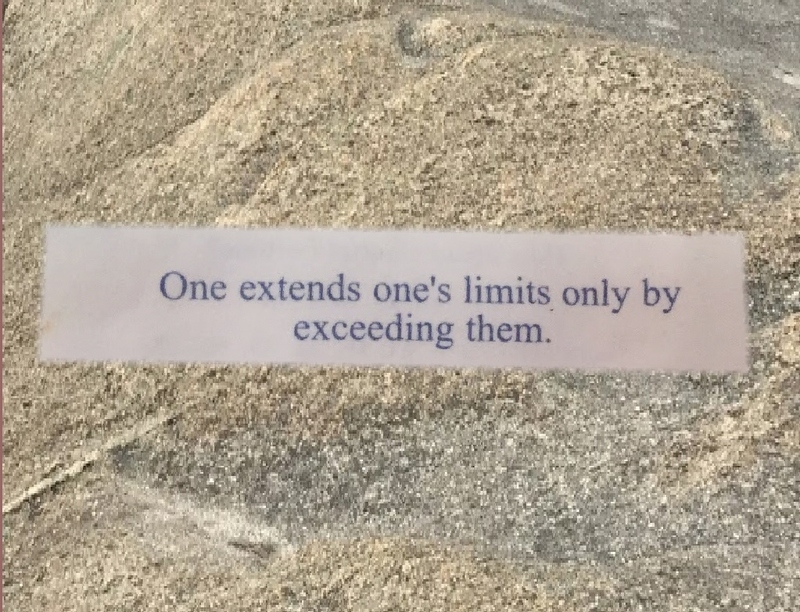 I got this fortune in a fortune cookie … “one extends one’s limits only be exceeding them” … this summer in the mountains of New Hampshire. We were in New Hampshire for 3 months, where we were setting up our new mountain “home-away-from-home” …. LOTS of fixing, replacing, repairing, re-new-ing! It was exciting, hard work, but definitely overwhelming at times. 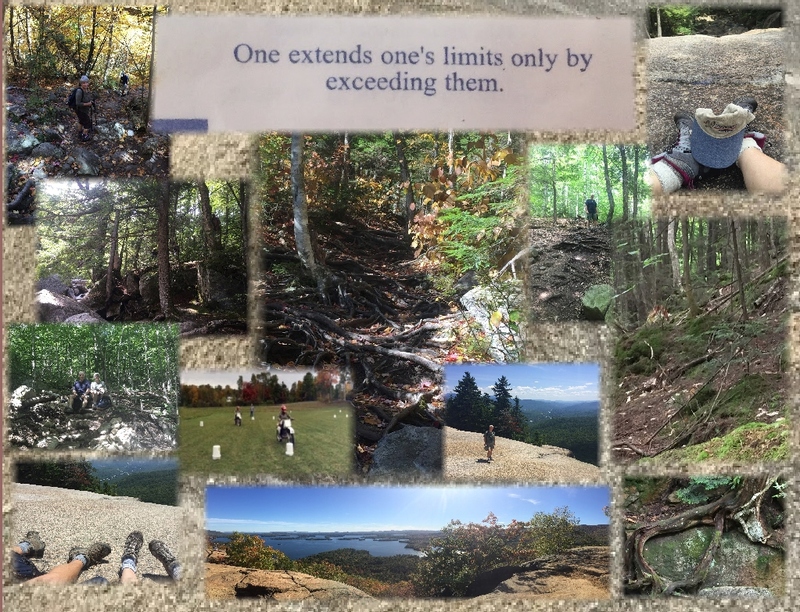 taking many “little” hikes and “little” adventures…. 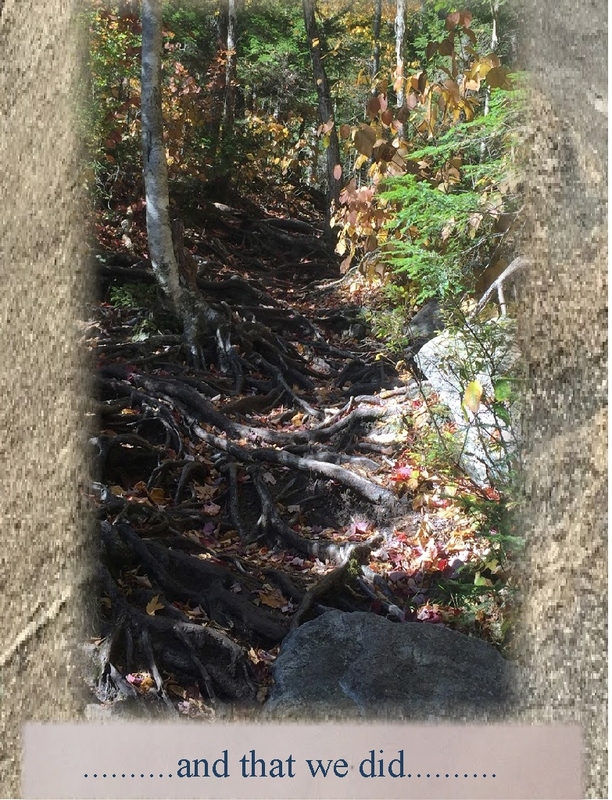 scrambling over unbelievable numbers of rocks and roots …. constantly amazed by the beauty around us! continually inspired by the wonders of nature! for the past 10 months…. 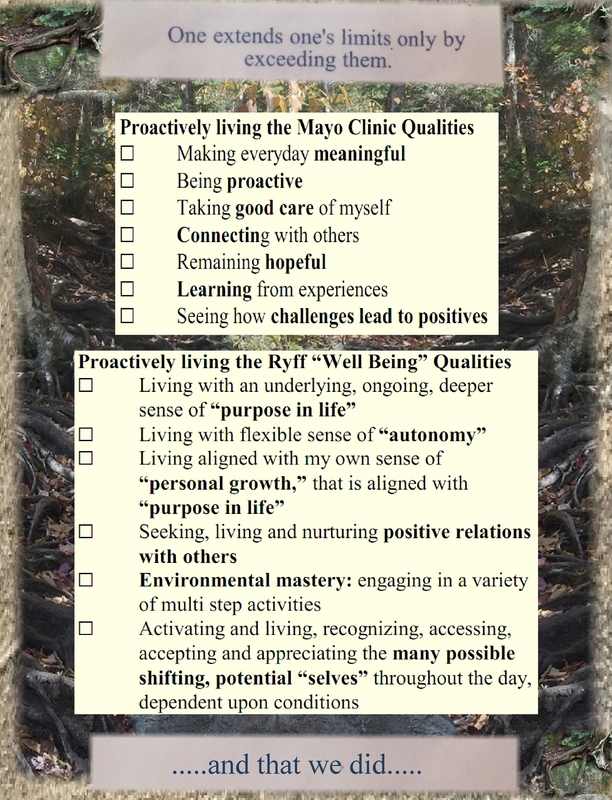 these amazing positive qualities, strategies and suggestions! 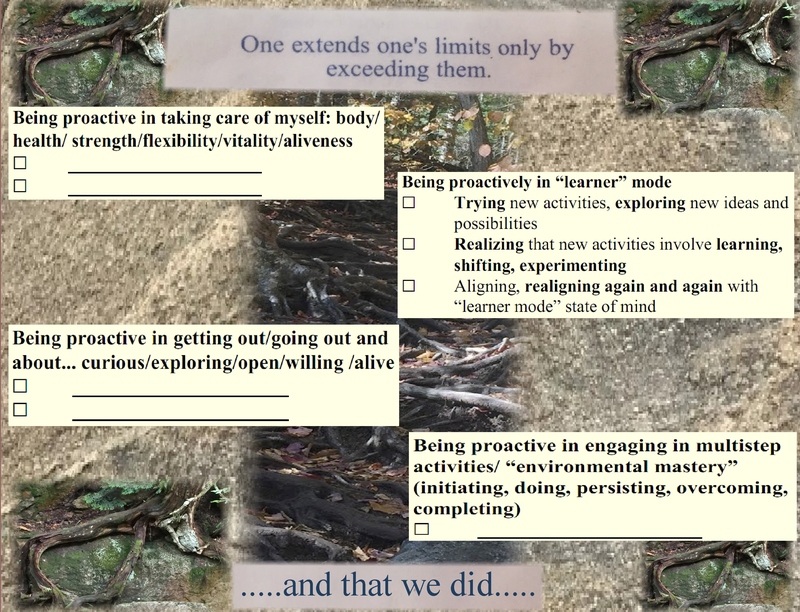 “extending our limits” ….and that we did! 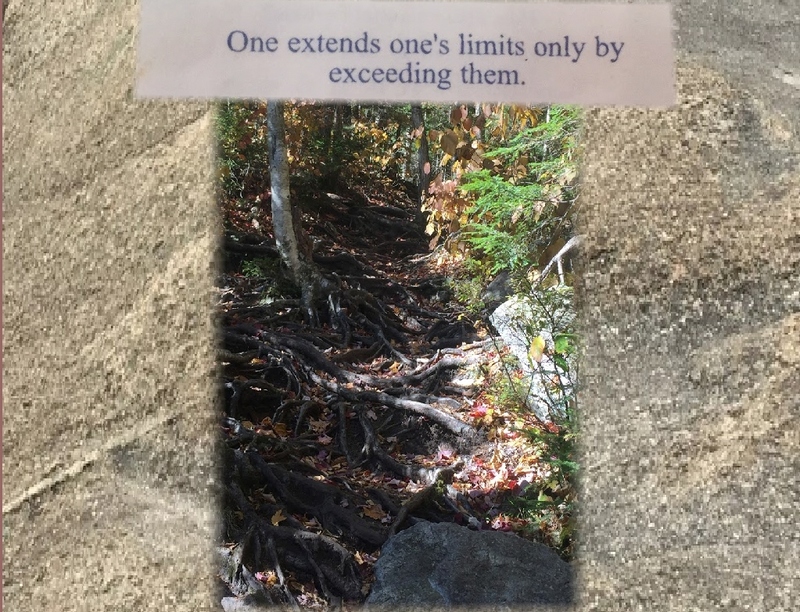 This entry was posted in Courage, Encouragement, Life and tagged Appreciation, Awareness, Beauty, Courage, Determination, Encouragement, Inspiration, Intention, Life, Mindfulness, Motivation, Nature, Persistence, Strength. Bookmark the permalink. 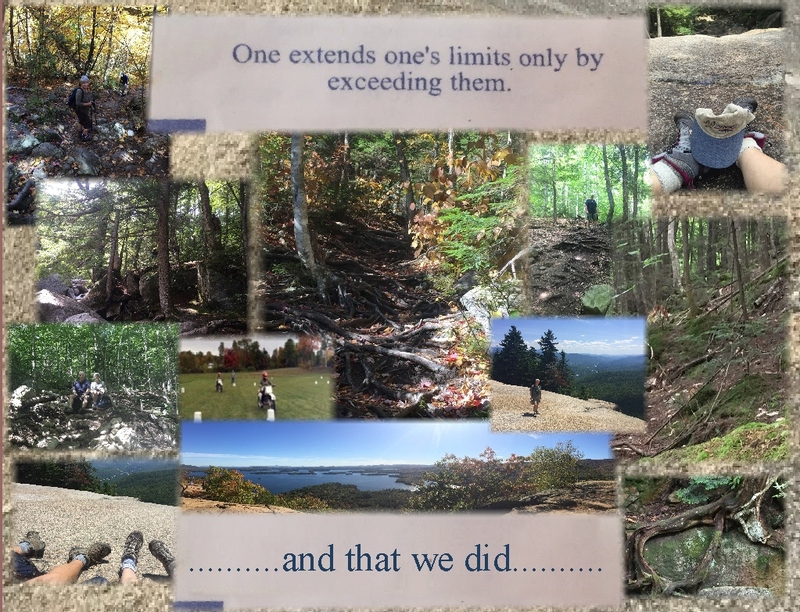 12 Responses to Inspired to be… extending our limits….and that we did! Excellent post! Ties it together very nicely! Thanks Peter….thanks for all your patience and encouragement too! I love how you explained and exclaimed this truth for us. 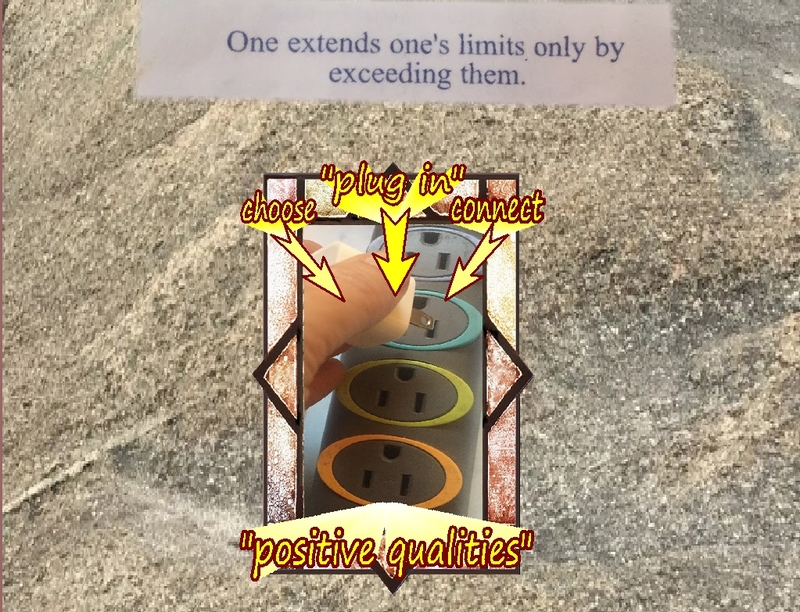 Using these ideas has been really helpful for me…they seem to have a flow and momentum to them… you just never know what a fortune cookie might offer! I think the Divine speaks to us in a myriad of ways! We have only to truly pay attention. You do that. It’s one of the things I most admire and appreciate about you. I “sense” that a “flow and momentum” of goodness, beauty and grace contributed to supporting me through finding, creating pages for and using those various resilience and well being strategies, perspectives and skills, in support of getting myself out into the midst of exquisitely beautiful nature of woods, ferns, moss, rocks, roots, streams and expansive views…where the most precious of healing, growing and becoming can naturally occur…….maybe so……….. I don’t think they disappeared so much as you were given an opportunity to learn them, anew and in a deeper way. Yes, that would make sense…thank you…. Pingback: Nurturing Thurs – Flaws | "On Dragonfly Wings with Buttercup Tea"
Pingback: Nurturing Thurs – I Am | "On Dragonfly Wings with Buttercup Tea"
Thought provoking beautiful post !! !